Why we love it: This organic body scrub uses Dead Sea Salts to exfoliate the skin and slough away dirt, grime and dead skin cells. 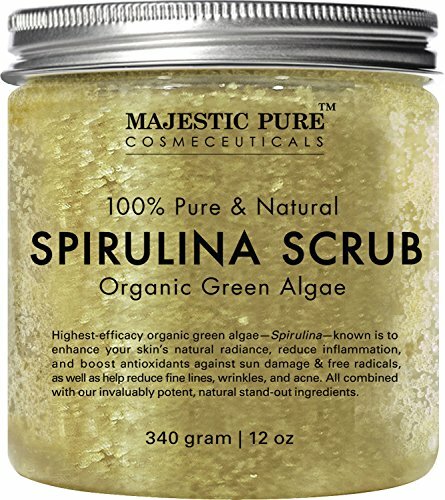 Omega 3 rich Spirulina is added for anti-inflammatory and anti-acne benefits. Jojoba Oil and Vitamin E work together to infuse the skin with nutrients, vitamins and hydration for a smoother, healthier complexion. Massage into wet skin in circular motions. Rinse and pat dry. Cruelty-free product. No animal products. 100% natural ingredients.